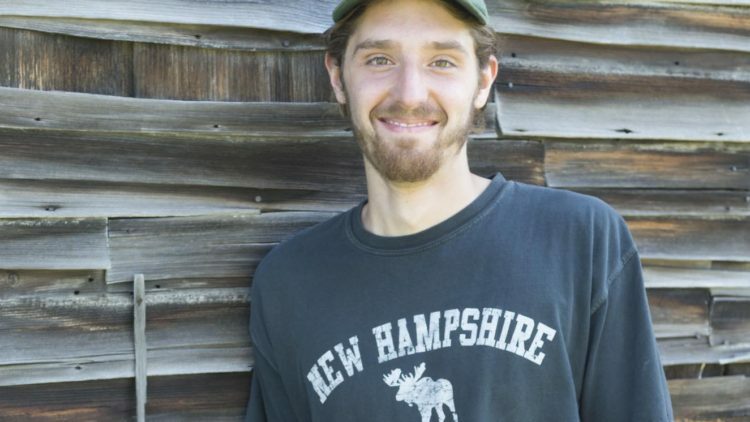 Austin Coad grew up in the beautiful lakes region of New Hampshire where he was homeschooled until freshman year of high school. Ever since a young age Austin had a gift for music. He started with piano, but now plays guitar, drums, saxophone and more. Even as a young child, Austin watched his Dad grow tomatoes, cucumbers, and more in their small garden in the yard. He remembers summer harvests in his hometown with all of the neighbors’ kids eating his father’s delicious fresh tomatoes. At age 16, Austin’s family moved to the NH Seacoast, downsizing from 2 acres and a barn to a town house in Exeter. In 2010 Austin enrolled in Exeter High School and met Taylor McGuinness, a nature bound beautiful track athlete with an enormous enthusiasm for life. After high school graduation, he traveled with Taylor to Hawaii where they farmed on a certified organic orchard that produced countless tropical fruits and vegetables. 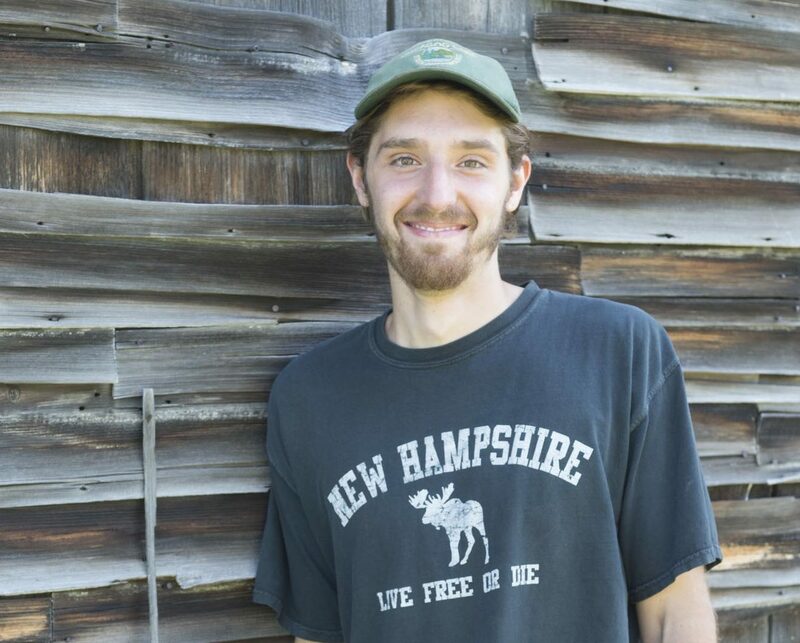 When they were back in NH in 2013, Austin helped create Back to Eden Gardens and began selling their wares at farmers’ markets. Austin enjoys permaculture design, architecture, building community, cooking, biking, making cider, foraging, juggling, composting, and taking care of animals. Dear Austin, I bought Cinnamon Bun and Aggie May from you around May of 2016. Jut wanted to say hello, and tell you that we love the goats! Aggie surprised us one morning in March with twins (this year). Last year she had her beautiful boy in Jun, just as you had said. She is so affectionate, and has delicious milk. Cinnamon had one ten pound boy in August and you should see how she dotes on him. She has a beautiful udder and gives me 18 or 19 cups of milk per day, also delicious. I wish you and Taylor every happiness. It was so nice to meet you both.